In ‘Transformism’, the Arts Catalyst’s latest exhibition which has just opened at the John Hansard Gallery, Southampton, Melanie Jackson and Revital Cohen reflect on our compulsion to alter and shape the materials, objects and living entities around us. They wonder at our ingenuity, and contemplate our relationships with biology and matter as they are radically transformed by human agency, whether the impulse is artistic or scientific. Today, in our attempts to rework our living and material world to fit our beliefs of how it should be, we have powerful new tools. Molecular biology, nanoscience and engineering are converging, provoking scientists to dream up all kinds of transformed matter: vaccine-producing bananas, fluorescent cats, bacteria that excrete diesel, trees that clean up pollutants, nanorobots that can enter human cells. Science proclaims a new revolutionary age, in which we can make almost anything, if we only understand and imagine it. Yet the urge to create new forms and objects, whether driven by need, desire or simply fantastical dreams of what might be possible, is ages old. To understand where we’re headed, we should have some perspective on where we’ve come from. Melanie Jackson’s investigations into mutability and novel forms are rooted in her awareness of the visual, sensual, historical, political and scientific aspects of materials and plants, and her interest in the intertwined role of myths and fantasy with aesthetics and technology. She is intrigued by scale, conscious that many new types of matter, such as liquid crystals, microscopic biological entities and smart materials, are rendered invisible because of scale or concealed within a hermetically sealed interface, yet they impact dramatically on our macroscopic visual and tactile environment and our dreams of magical abundance. 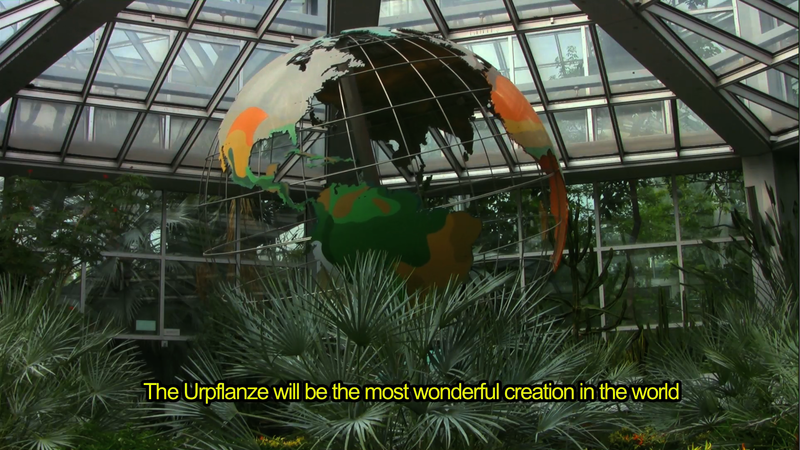 The Urpflanze (Part 2) is the second part of Jackson’s ongoing investigation into plant form, aesthetics and transformation that takes its lead from Goethe’s concept of an archetypal plant, the Urpflanze, from which all plant forms could be generated. Contemporary science similarly imagines the potential to grow or print any form we can imagine, by recasting physical, chemical and biological function as a substrate that can be programmed into being. Jackson’s work begins in the botanical garden and looks to the laboratory, from clay pits to the factory floor, from analogue to digital clay, from its own animated pixels to the interior of the screen in a series of moving image works and ceramic sculptures. Revital Cohen’s work explores themes relating to nature, technology, and human behaviour. In particular, living creatures that are produced and used as artefacts fascinate her. Her interest in these designed animals – whether pets, farm animals, or living drug factories – is driven by what motivates and influences the breeders and scientists, and what this commodification means for our relationship with these fabricated living beings. In Kingyo Kingdom, Cohen explores the genus of fish that have been designed for aesthetic purposes, questioning the definitions used to indicate living creatures. Does one denominate a manipulated organism as an object, product, animal or pet? 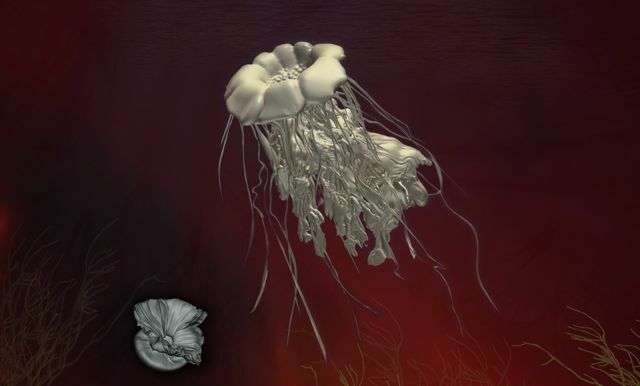 What are the design criteria involved in creating living creatures? 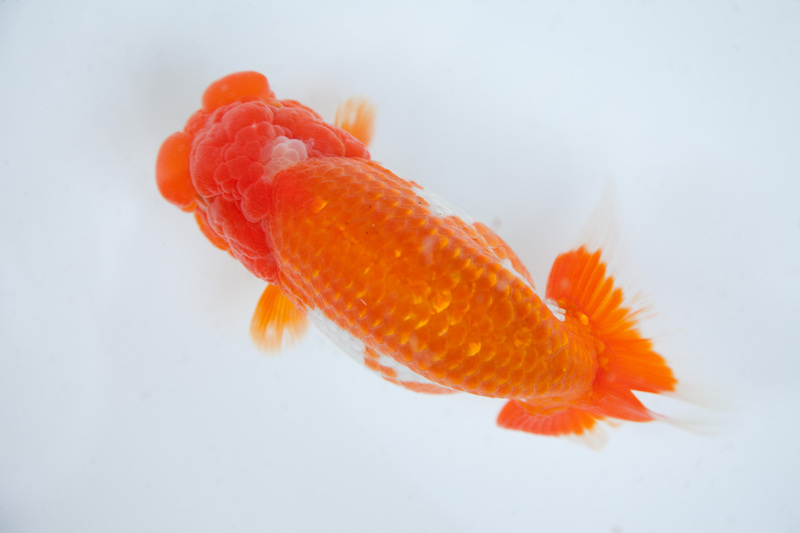 Cohen’s interest in the cultural perceptions and aesthetics of animal-as-product took her to Japan where exotic goldfish have been developed over centuries of meticulous cultivation; breeding out dorsal fins and sculpting kimono-like Ranchu fish tails. 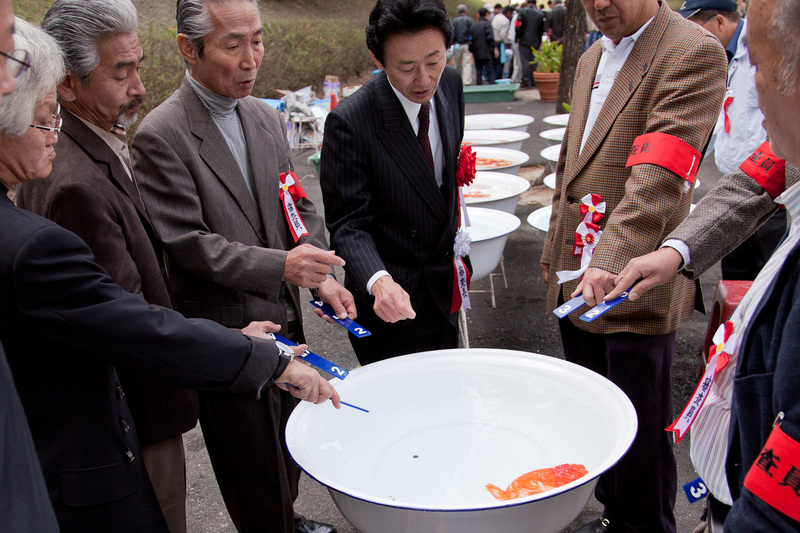 Kingyo Kingdom explores the unique culture of breeders, collectors and connoisseurs with footage from the Japanese national goldfish competition, questioning the design and commodification of this species. ‘Transformism’ is the latest manifestation of the Arts Catalyst’s extensive investigations into how arts practice, culture and contemporary science interpenetrate and influence one another. The philosopher Bernard Stiegler has asserted that the divorce between the rhythms of cultural and technical evolution is symptomatic of the fact that today technics evolves more quickly than culture (1), but perhaps there is more interplay than we realise. The works in ‘Transformism’ meditate on the vibrations and circulations of our changing material world and explores our complex relationships with the things we create, in the process softening the boundaries between culture and technology. The Transformism exhibition guide, with an essay by Isobel Harbison, is available from the John Hansard Gallery or can be downloaded in a variety of e-formats from The Arts Catalyst website.